Brent’s path towards anaesthesia started in 1996 beginning medical school course at the University of Tasmania through to completing his Internship period in Hobart, Tasmania in 2001. 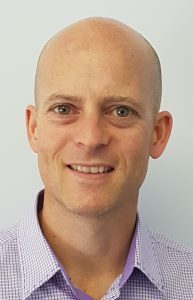 After gaining experience in General Practice, Sports Medicine, Emergency Medicine and Remote Medicine, Dr. Studd commenced formal Anaesthetic training in Sydney in 2004. Anaesthetic training included significant work in Intensive Care Units, Emergency Medicine, as a Retrieval Doctor including international experience in South East Asia, the Solomon Islands and 2 years working in New Zealand in a combination of Obstetric and Gynaecological Anaesthesia and Paediatric Anaesthesia. Brent is a consultant Anaesthetist and has completed a fellowship in Paediatric Anaesthesia. Prior joining the Hobart Anaesthetic Group in 2018, Brent worked for 5 years in Western Australia in mixed Anaesthesia roles.